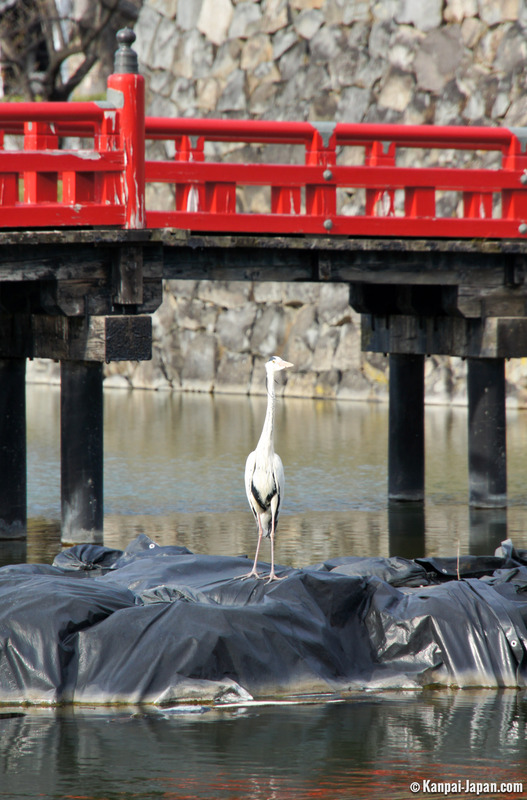 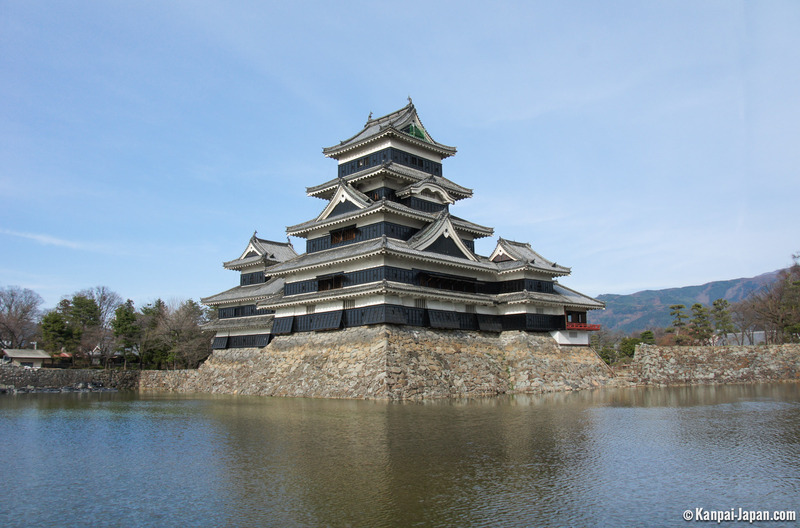 The fame of the elegant-looking Matsumoto Castle reaches far beyond the Japanese archipelago. 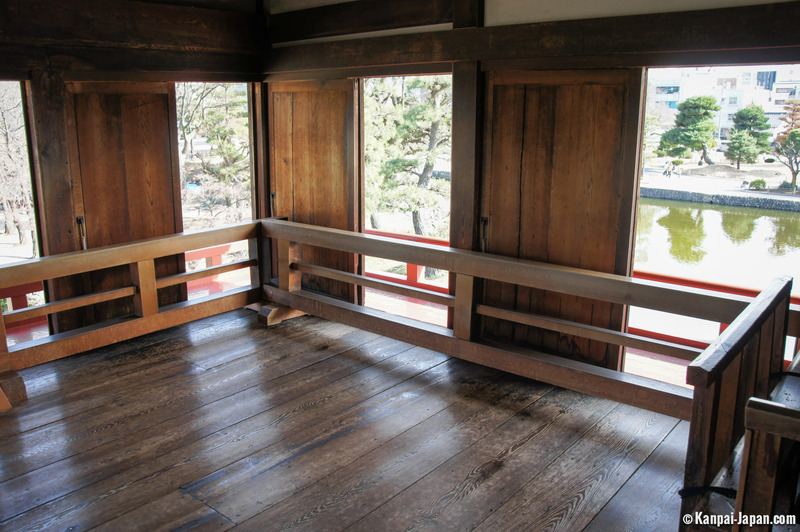 Although built in the 16th century, it is still in superb condition and was recently listed as a National Japanese Treasure. 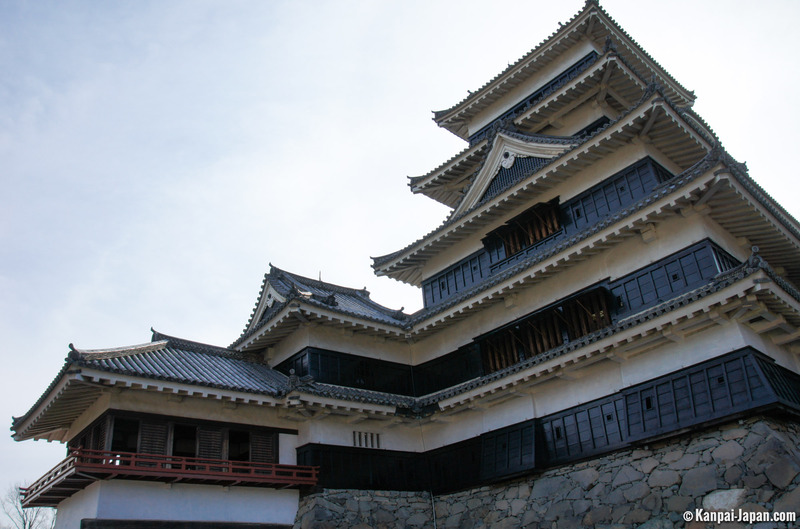 It is certainly one of the most largely featured Japanese castles, on account, in particular, of its beautiful black coating - similar to that of Okayama - which is where its nickname comes from. 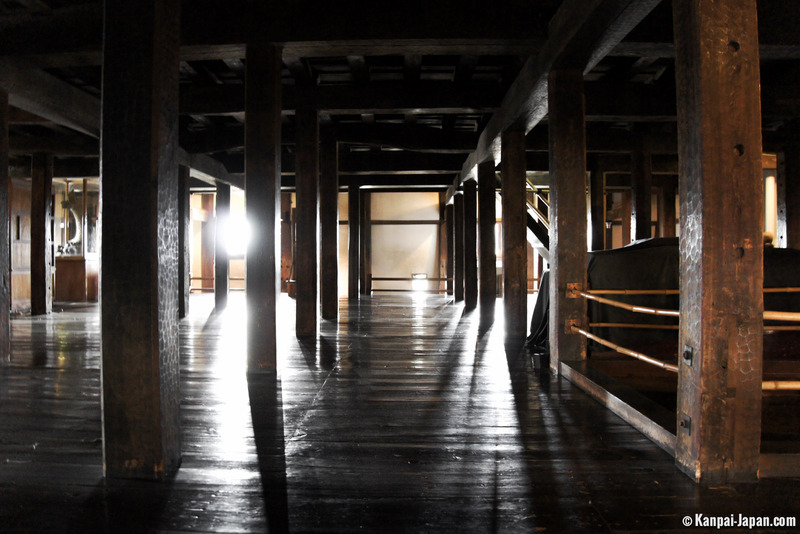 What is most surprising about it is probably the fact that it has never needed rebuilding: it is actually the original version that is still standing and open to visitors today. 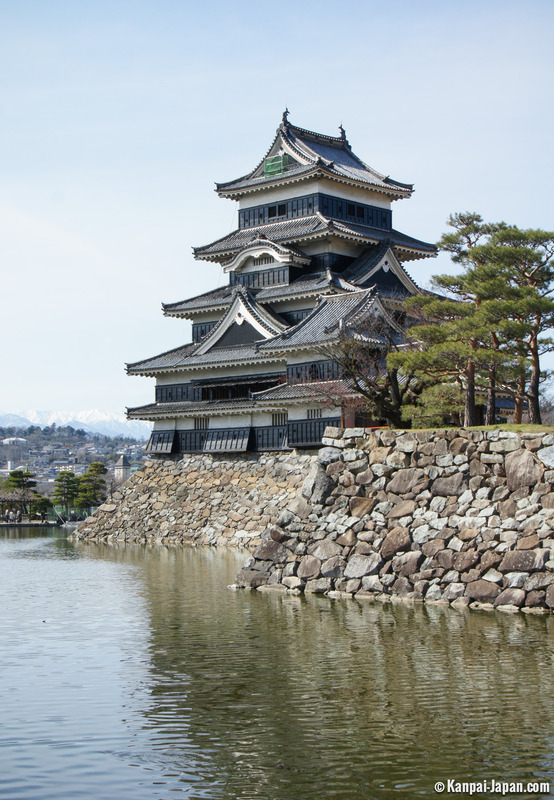 The Castle comes out beautifully on photos and also provides a spectacular vantage point over the surrounding lake and beyond, onto the Japanese Alps, especially during the sakura’s late blooming season. 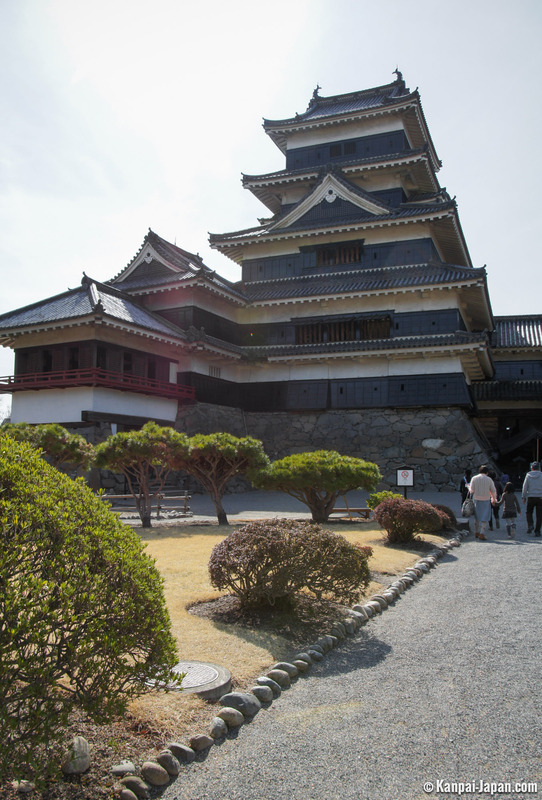 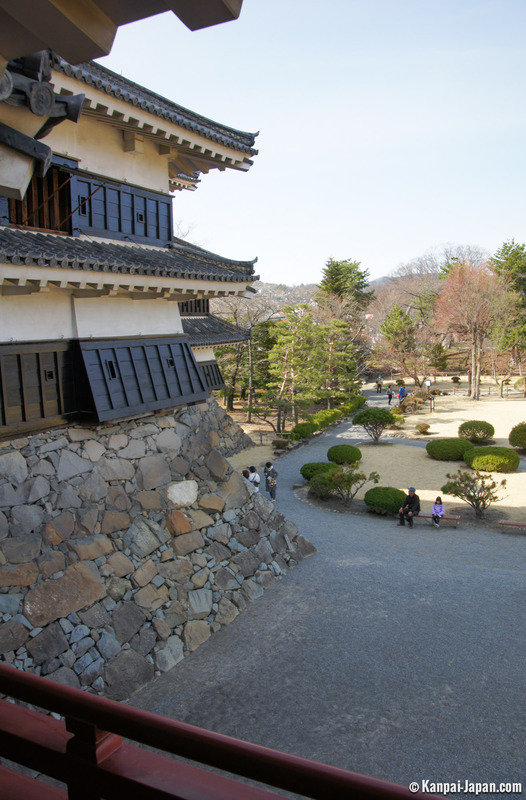 If you are familiar with classical Japanese settings and decoration, the inside of the Castle will not take you by surprise. 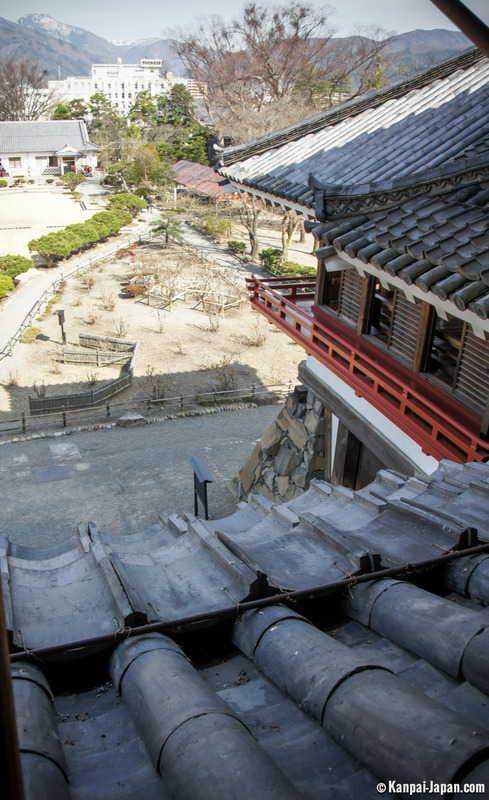 On very busy days though, the steep, winding climb up the two-way, narrowing stairs may be something of a challenge. 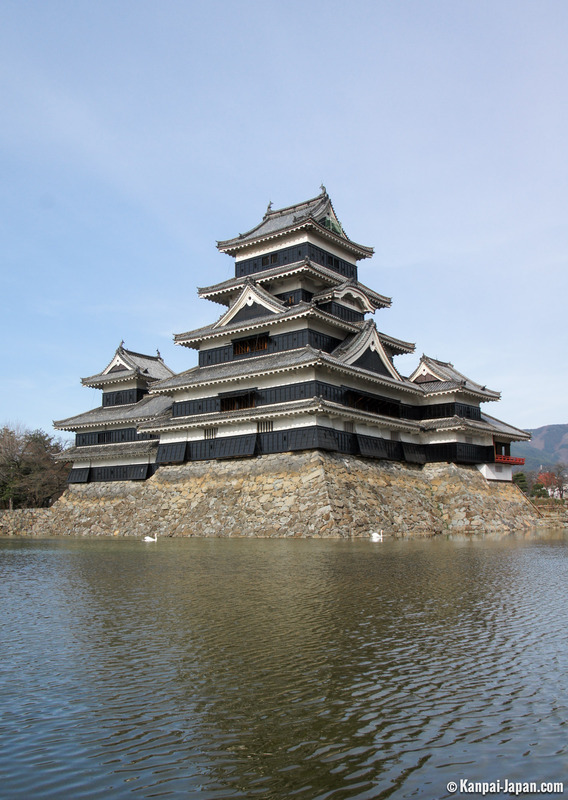 However, being located in the heart of Chubu, Matsumoto Castle does not attract many foreign tourists. 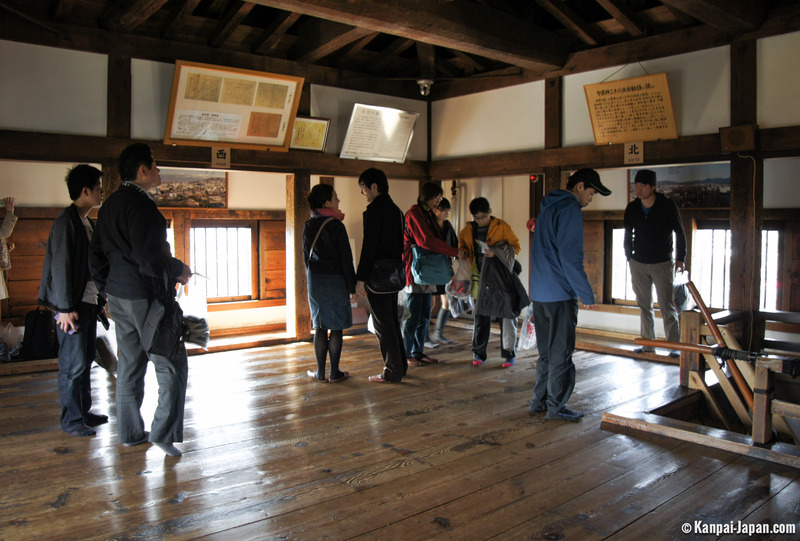 Although very popular with the Japanese, it invariably ranks low on the places of interest lists for gaijin (foreigners), far behind the Tokyo and Kyoto areas. 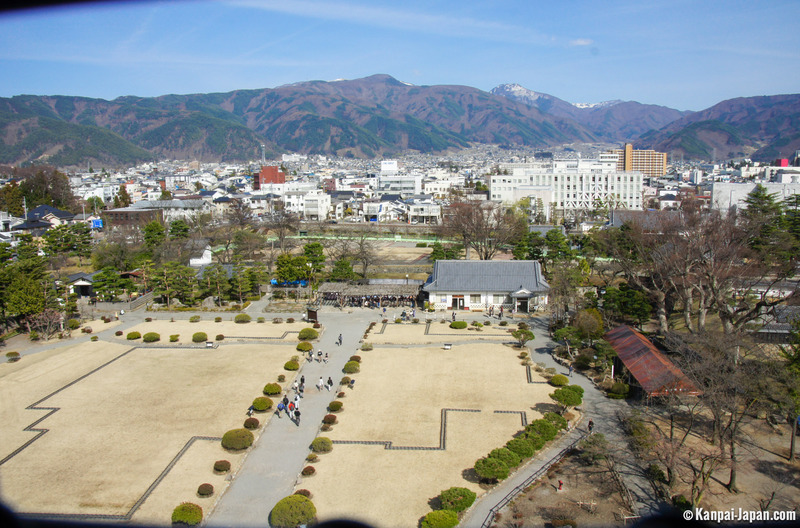 And yet, the Prefecture of Nagano is well worth a visit, and a welcome relief from these tourist-ridden regions. 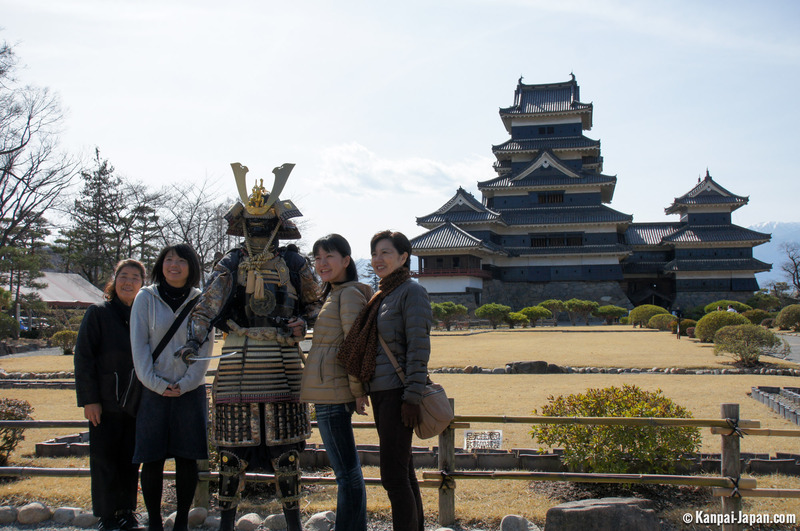 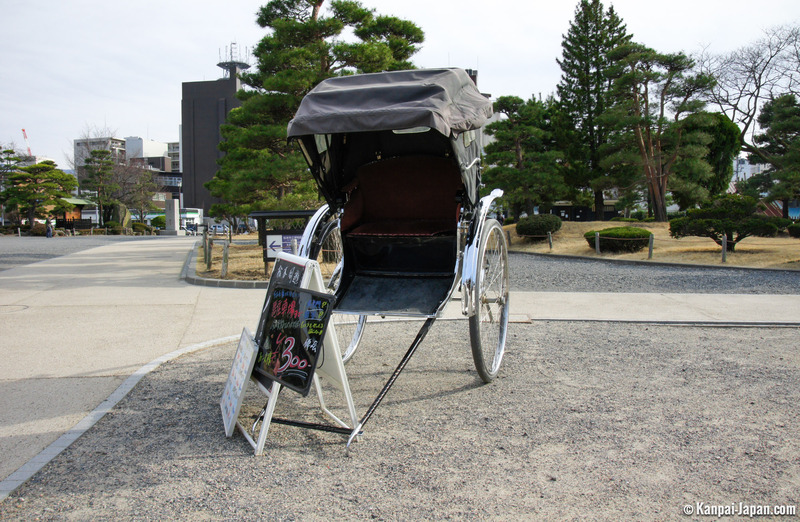 Some more traditionally-minded travel agencies will organize tours that will take you as far as Kanazawa or Nagoya. 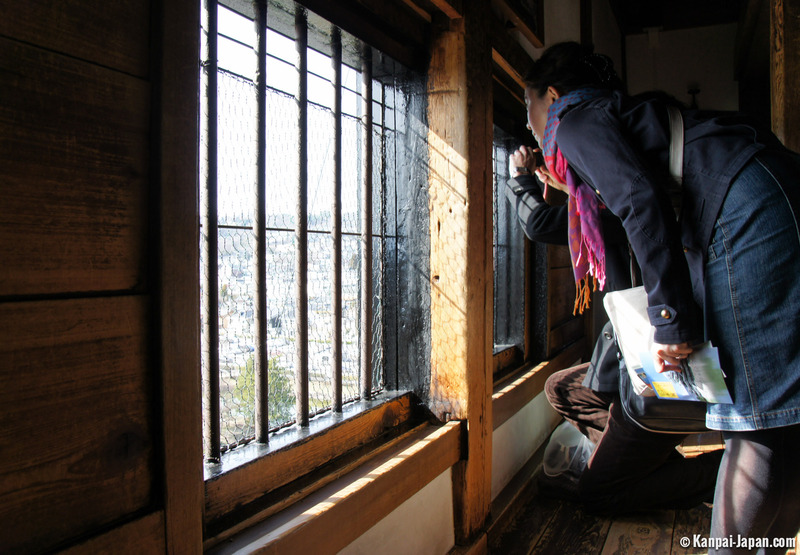 And for the most determined, a return trip from Shinjuku will take slightly under five and a half hours. 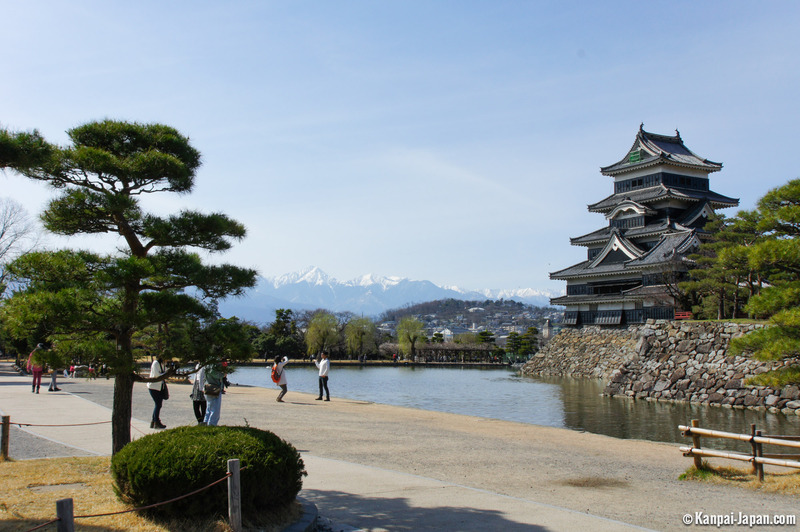 To be completely honest, there is not much to see in Matsumoto apart from its castle and that is why it is merely advertised as a (beautiful) stop-over in most travel itineraries.